In Nights in the Asylum, Lefevre handles themes of grief and loss, displacement and memory with authority and confidence. As the title might suggest, the novel concerns characters at low points in their lives. However the book is saved from being a dark novel by moments where care and love bring positive change: an asylum seeker is given asylum, a grieving mother is comforted and a victim of domestic violence is sheltered. The opening chapters introduce us to the main players in the drama, all of whom are fleeing loss. Miri, in mourning for her dead daughter, picks up Aziz who is fleeing from a detention centre. She also rescues him a second time from a racist incident that has the potential to develop into full-scale violence. Miri and Aziz end up in Havana Gardens, the once grand house of Miri’s grandmother, herself an exile of sorts from Cuba. This setting carries unconscious resonances with Agatha Christie’s manor houses where mysterious crimes involving weekend guests from the city occur. However the decaying mansion built for Miri’s grandmother is in the parched red soil red of an unnamed large Australian outback town. The specific location is less important than the way Havana Gardens provides a sufficiently isolated capsule in which the people we come to know most intimately can play out their drama unobserved. It is at Havana Gardens that we meet the third of the main characters, Suzette, who is on the run with her baby from her violent husband. Now the stage is set. Aziz, Suzette and the baby stand to lose the most if they are discovered. Miri is able to show herself publicly and act as messenger for the others. A cast of subordinate characters fills in the background to the major characters' tragedies and gives their own take on the novel’s themes. There is the waitress, Chandelle, who is prepared to let bygones be bygones as long as it suits her, but who is plagued by the sort of questions that afflict us all: "What if this was all there was? What if this was the length and breadth of the world, her life, forever and ever?" There is Miri’s husband whose behaviour, as much as her daughter’s death, causes her to flee. There is the vet who can turn his hand to illegal medical treatment. There are even a couple of young people whose presence and dialogue add variety and levity to the novel. Maybe the 'extras' list could have been culled — but for every reader who enjoys the minimalist approach another prefers a larger canvas. The novel's chapters present the point of view of a particular person (and are conveniently headed with the person’s name). It is an effective technique which brings to mind Thea Astley's The Multiple Effects of Rainshadow. It allows us access into the mind of Aziz who speaks so little English that we can know him only through his thoughts. We come to know about the hardships of his life in Afghanistan, his memories of his father and sisters and the details of his time in the detention centre. 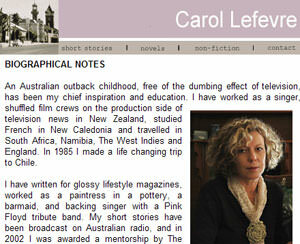 He is also able to tell us first hand about the terrible sea voyage he endured to get to Australia. This is modelled on the tragedy of the SIEV X, the Indonesian fishing boat that sank en route to Christmas Island in October 2001, killing 353 people. The sections of the novel that detail Aziz’s hardships from his own point of view are among the strongest. Equally effective are the very sensual scenes involving the growing closeness of Aziz and Miri, something that transcends verbal language. Photography is a motif that links various sections of the novel. This motif is employed in the climactic final section, entitled 'Undated Photographs'. Nine short numbered pieces, more like prose poems than narrative, are used to great effect. Impressionistic pictures are displayed with light, colour and facial expressions providing clues about the outcome for each of the characters. Lefevre is too careful a writer to present a happy ever after ending, or propose neat answers to Chandelle’s thought about her future, "What if this was all there was?" What the photographs appear to offer are images of the better life that could be possible for the characters. 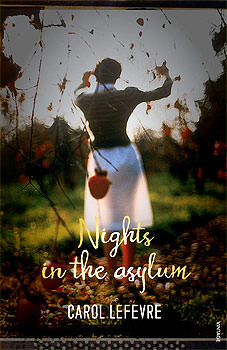 Nights in the Asylum is an engaging and well-plotted novel that will offer readers new ways of thinking about personal and topical issues. Brian Doyle said 'no' to an editor's request in the aftermath of September 11: "The only proper thing in your mouth at such a time is prayer." His kids had to reflect back to him: "Well, dad, you are always lecturing us about how if God gives you a talent and you don’t use that talent that’s a sin." Indigenous programming attracts few national advertisers. Getting more Indigenous content on TV screens requires a dedicated Indigenous TV channel such as NITV, which is finally due to go to air within two months.